With introduction of VAT in UAE, we help you through the shift in business dynamics. VAT registration for business startup, SMEs & multinational companies. Shuraa Tax Consultants and Accountants in Dubai is a leading name in tax management and consultation working towards excellence; showcasing knowledge and objectivity, instrumenting tax laws through intelligence and integrity as well as keeping themselves acquainted about the frequent variations in the tax implementations in UAE. VAT Registration is mandatory for companies and individuals doing businesses in the UAE. To get UAE VAT registration, businesses can register for VAT tax through the e-services section. But, in case you are not sure about the procedures on how to register for VAT tax or need to know about the requirements, we are here for you! Shuraa provides experienced and qualified tax consultants in Dubai and all over UAE enabling companies to learn and apply UAE taxation efficiently through their businesses. Shuraa Tax Consultants and Accountants is among the best accounting and auditing firms in Dubai, UAE assisting with regular book-keeping techniques & monitoring company's taxation. Be it auditing the company's internal financial statement; creating annual audit reports or assuring the economic risks with VAT in UAE, etc. With Shuraa you sorted! Businesses need to acknowledge VAT in UAE as an economy change and accordingly streamline all business functions, however if you are having trouble tackling it all get in touch with our advisories and accountants at Shuraa Tax Consultants and Accountants. Article (1) Federal Law No. (7) of 2017 on Tax Procedures states companies to appoint a Tax Agent for all types of tax implementation in UAE. With Shuraa Tax Consultants and Accountants get a reliable and trustworthy Tax agent. Setting up a business in UAE will now mandate you to familiarize with the various UAE taxation policies. Speak to Shuraa's business setup and tax advisors in Dubai, UAE to get a complete step-by-step assistance on the same. Shuraa Tax Consultants and Accountants offers aid to taxable entities entitled to register for VAT, excise tax and maintain annual accounting records for their business transactions apart from the various directives described by the Federal Tax Authority of UAE. Introduction of VAT in UAE is a new-fangled prerequisite applied by the Federal Tax Authority of UAE. According to the governmental body, operational companies as well as entities willing to start a business in UAE need to register themselves for VAT in UAE. 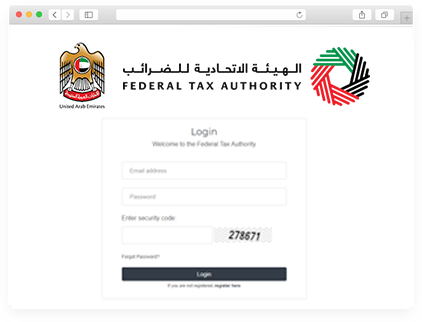 UAE VAT implementation will require companies to register themselves on the FTA online portal (https://eservices.tax.gov.ae/) or just contact Shuraa VAT auditors in Dubai, UAE.